Your garage door is more than just a feature that improves the curb appeal of your house. It plays a crucial role in providing safety and security for your family and belongings. But what happens if it suddenly stops working and you have no idea what to do? Obviously, it is going to be a huge mess. You would not be able to use your car and drive to your office or, worse, your property is left open for intruders. There are many reasons why your garage door suddenly becomes faulty. It could be due to regular wear or tear, especially since you barely maintain it. Also, there is the possibility of needing new parts replacement. The latter, in particular, is true with the garage door opener. Mind you, this one right is responsible for ensuring your garage door’s smooth operation. If you are in need of a professional garage door opener installation or repair, look no further than Durability Garage Doors. We have the skills and expertise to get the job done, no matter how small or big it is. More importantly, we are known to be the only company to provide affordable and professional installation or garage door opener repair in the area. What Makes Durability Garage Doors Worth It? There are tons of reasons why Durability Garage Doors has been successful in beating the competition. Even if you ask homeowners and business owners in the area, they will tell you about how satisfied they are with our garage door opener installation service. But hey, we encourage you not to just take their word for it. It is best if you give us a call, so we can help you understand the difference we can make to your garage doors. Durability Garage Doors has a team of garage door opener technicians, all of whom have undergone a meticulous background check. They have also been trained and licensed to perform the job, allowing them to provide you with top-notch service. In addition, their years in the industry have helped them accumulate the right amount of experience to tackle garage doors of any type, size, and make. Moreover, we are the kind of company that believes in the idea of using only the best brands in the industry. And one of these is none other than LiftMaster. 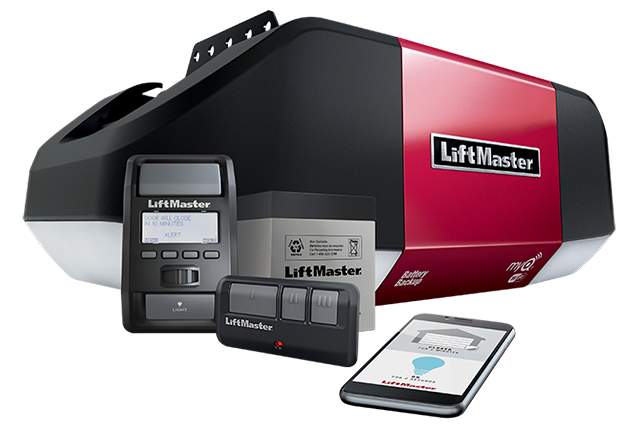 Yes, that is right – working with us means you will get access to the titular LiftMaster garage door opener! Apart from the aforementioned, we here at Durability Garage Doors continuously update ourselves with the latest trends in the industry. This allows you to be on top with the right tools and equipment, all of which are proven to be state of the art. By doing so, we are able to improve our skills and techniques which are essential in ensuring quality work and service. With Durability Garage Doors, you can rest assured knowing that you will get your money’s worth! Belt Drive – By essence, the belt drive is specifically designed to help reduce the noise that your garage door makes when it is opened or closed. This is the main reason why many homeowners prefer to use it these days, especially for older garage door models. When it comes to lifting power, this one does a great job as well. Not only is it efficient and reliable in doing so, but it also improves the garage door’s operational speed. Chain Drive – Interestingly, this one right here comes close to the aforementioned in terms of qualities. But unlike the Belt Drive, the Chain Drive garage door opener has a very popular quality: strength. And with such, it gives your garage door the ability to steer clear from slipping whenever it operates. The same quality is also responsible for giving your door the much-needed longevity and durability. Durability Garage Doors is your go-to garage door opener repair or installation in the area. We have a team of expert technicians ready to help you at your disposal. With us, you can only expect professional and top-notch customer service. We even assure you of a fast yet efficient one. 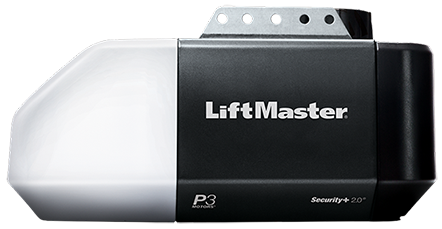 If you are having issues with your garage door opener, please do not wait it out and call us immediately. We can help you find the right solution and prevent you from incurring further damages. Do not hesitate to give us a call. We are always here for you!